Why reusability of software components is essential? While developing a complex software, programmers or software developers require immense knowledge and brain-storming. Absolutely, their natural tendency to write long lines of code which can be intricate, hard to manage and can’t be reused. However, programmers must store the code components and knowledge that can be reused, which in return can save time for developing a software requiring similar code capabilities. So the important question is, what is software reuse? Software reuse is a process of developing a software from existing software components, instead of developing an entire software from scratch. In other words, software reusability is developing a brand new software from an existing one. Software reusability results into increased productivity and quality by minimizing risk of newly developed projects. 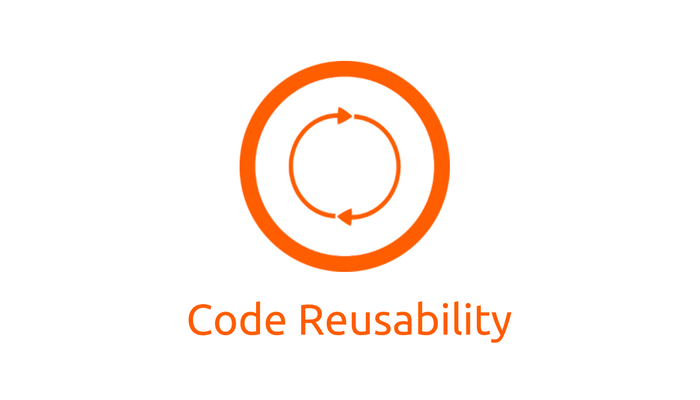 Software reusability not only depends on code. On the contrary, it entails all entities of software development life cycle like software components, test suites, documentations and designs. How do we achieve reusability? Reusability can be achieved by opting for software metrics technique. Software metrics are considered to be vital in software development and management. Within an organization, various types of metrics can be applied which includes reuse metrics and software and quality metrics. These kind of metrics prove helpful in shaping appropriate practices, while developing a software and its entire life cycle. However, component based programs is a common method of reusable programs where they are highly dependent on software reuse repositories. Component based reuse programs are becoming extremely popular owing to their cost-effective approach for software development. These programs are highly inclined towards design and development of software systems using reusable components. Components developed by developers within an organization are not only meant to reuse within a particular organization instead, they are distributed in form of an object code and reused by other environments. Hence, developers looking for reused components are unable to attain exact source codes of components as only object codes are available. Sharing object code online is one of the finest way to make components available for reusability. Though, there can be few things which can hamper the reusability of component. The software component must be easily available for use whenever required. An appropriate and simple documentation on how to use component can make it more understandable and easy to implement. The components must not be too complex and should be bug-free. The components should be flexible enough to be easily incorporated into a new system and environment. Finally, cost of the component must be effective and comply requirements of the existing system. Software reusability is changing the way programmer’s code and organizations operate. Being an evolving concept, lot of organizations are moving forward to incorporate software reusability within their environment. Software reusability can encourage innovation in traditional development methods and also it is a cost effective option. The software reusability research started during 1960 and it has a long way to go.